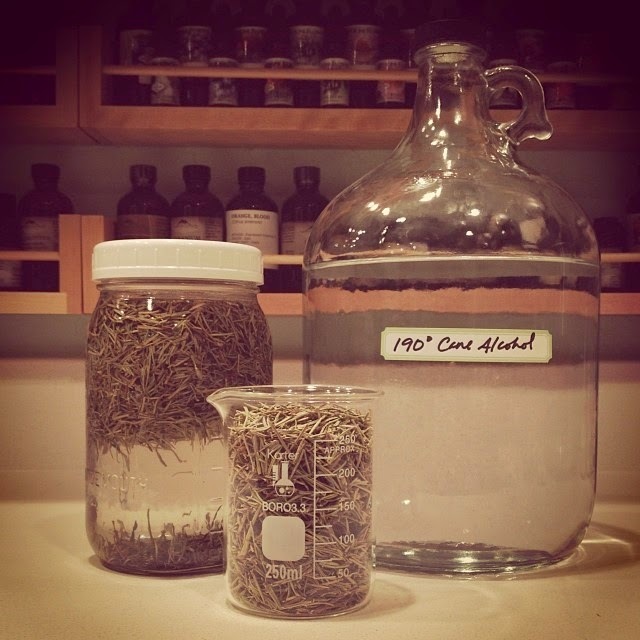 An herbal extract is only as good as the ingredients used - which is why we make our herbal extracts from scratch! We start with a locally-distilled Organic Cane Alcohol and use only organic herbs, often grown in our own permaculture gardens. Our Rosemary Extract is made in this way - using the finest organic herbs and alcohol for an incredibly potent and powerful herbal extract. Rosemary Extract is a key ingredient for our popular Wild Man Beard Wash for its hair-strengthening and conditioning abilities.